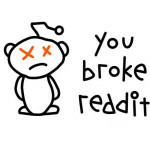 Over the past week there’s been a revolt by moderators at Reddit. Moderators complained when one of their number was fired. An apology by the sites’ CEO, Ellen Pao, promised more tools to help moderation. There’s an interesting parallel between Wikipedia and Reddit. Both sites’ content is created and moderated by volunteer users. Both have a management system that is divorced from the actual content. Both have weak leadership. Wikipedia can never introduce advertising because the compact with the contributors is that they add their time for free to make a free resource. If the site added ads then its credibility would be shot, even though the site would easily be worth billions. Jimmy Wales realized this early on, so handed the leadership of the site to the community and the WikiMedia Foundation (WMF). One of the main problems that resulted from this, is that the community not only crowdsources the site, but crowdsources the governance of the site, without having the ability to create the tools that would improve governance. The site is effectively “managed by wiki”, which, as a flat system, results in mob rule. The WMF has nothing to do with the content. None of the over $50 million in donations it raises each year go towards the content at all. Only $2.5 million goes to hosting, the rest goes to the WMF itself – for international travel, expensive office equipment and a large team of engineers that does not produce much. Recent software introductions have been received very poorly. This is, in part, because the sites’ users have a big say over all aspects of the site, and paradoxically, they are extremely conservative. Long term users are highly resistant to new software. Even a recent font change on the site generated a mountain of negativity. The result is a site that is stuck with 1990s technology, presentation and functionality. The WMF is trapped because the users don’t want change — all it can do is collect the money. But this is an unsustainable position. As more people find out that the money doesn’t go to the writers, and the site continues to degrade, the money will dry up. In Reddit’s case, the management also has a problem with the site’s contributors. They want to try to make money off of the free work of the writers and moderators, yet haven’t supplied them with the correct tools. But tools don’t just take the form of better buttons to delete trolls and manage comments — they should go deeper. As Gina Bianchini points out the key to the discussion is revenue-sharing with users. This site, like Wikipedia, crowdsources biographies and news-based events but we decided early on that we would pay our contributors. We started off paying direct cash ($1 per post) and then moved to revenue-share. We have created tools, not just for people to add information easily to the site, but that give them revenue share for their contributions. In fact, we are the first crowdsourced site to give revenue share to contributors to asses the quality of other users’ work — revenue share for moderators. As the site becomes larger, some of our contributors will make a lot of money. Wikipedia can never add revenue-sharing tools because of its culture and the way its content is created, but Reddit can easily add revenue-sharing tools. In fact there’s a Reddit clone that rewards contributions, although I don’t think it rewards moderation. As an aside, Tsu.co tried to make a revenue-share Facebook but got their model wrong, whereas YouTube has done a great job of turning some of its contributors into millionaires. In short, if a site is making money from user content, its tools should include those that help the contributors make money too. Reddit and Wikipedia may share the same disease, but only one has the potential to be cured. Mark Devlin is the founder and CEO of Newslines, a new crowdsourced news search engine. Find out more about him here, and more about Newslines here. Click here to follow Mark on Twitter.